The Erin Farmers’ Market is now in it's 9th year. We are located at McMillan Park, in the Village of Erin, Fridays 3-7pm. Our vision is to promote beautiful food and artisanal products for our community and provide a taste of local to Erin visitors. We are looking for a few new farmer/producer/entrepreneur to help our market grow! Your support and participation will ensure our continued success! 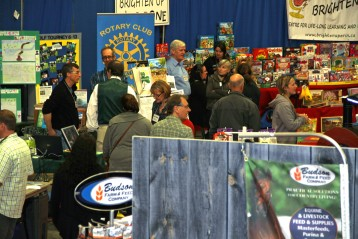 EWCC will not be hosting the Home and Lifestyle show in Erin this year. Despite our ongoing efforts to recruit new volunteers for various Chamber committees (including the Home Show committee), there has been insufficient support to enable us to tackle this labour intensive endeavor, and we simply do not have the existing resources to do this event justice. We apologize for any disappointment this may cause and we will consider the options again next year. Your participation in this survey provides us with an understanding of local workforce needs and challenges. It is the time of year again when we ask businesses to provide insights into what is happening in our local labour market. We use this valuable information and share it with over 30 Partner organizations including Economic Developers, Industry Associations, Business Support Agencies, Job Developers and Educators to help shape programming related to local workforce development. The survey runs until January 31, 2019. Last year 579 businesses completed the survey. This year our goal is to hear from 600 businesses like you! 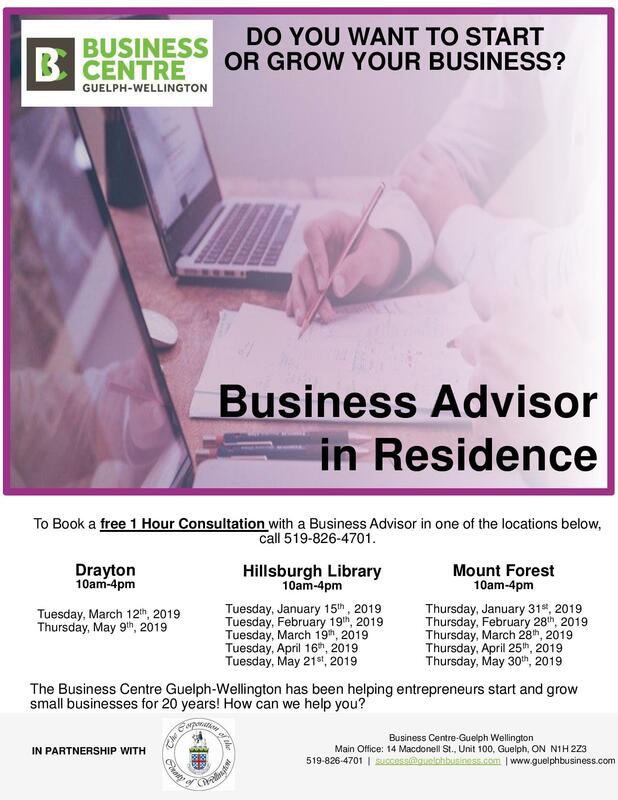 Are you a property or business owner in the Town of Erin? Fast Lane grant applications now open! Our Fast Lane program is specially designed to help small to medium sized businesses overcome their biggest challenges and road blocks. The County of Wellington is pleased to announce that the Ministry of Transportation of Ontario (MTO) has granted $499,950 to the County to develop a demand-based ridesharing transit system that will service all parts of the County. The new system, which is scheduled to launch in April 2019, will utilize a mobile app and a call centre to allow the public to book, pay for, and track trips. It's time to renew your 2018 Membership... and get 2019 included! Membership Committee says Give it Away! Don't Wait 'til next year - Join the EWCC now. There are many reasons to join the EWCC; sign up now for 2019 and for a limited time you'll get the balance of 2018 absolutely FREE. Annual membership is only $130.00 and many members find that participating in just one of the many Member Benefits more than pays for their EWCC membership. Want to Join the East Wellington Chamber of Commerce? Beyond Advocacy… There are Savings! In addition to the advocacy work done on behalf of business by the Chamber of Commerce, both locally and nationally through our connections with the Ontario Chamber of Commerce and the Canadian Chamber of Commerce, we can also assist businesses of all sizes in improving their bottom line through a number of benefit programs. 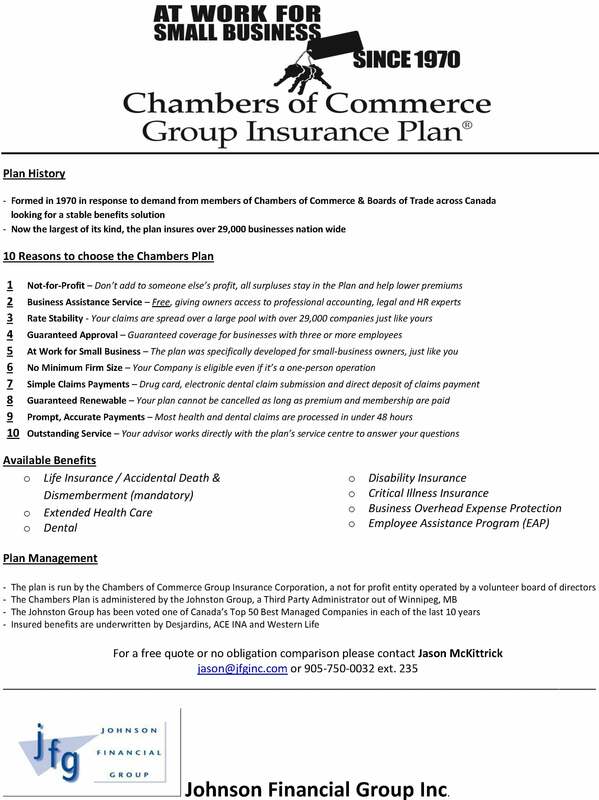 The Chambers of Commerce Group Insurance Plan has been protecting Canadian firms for over 40 years. More than 30,000 small to midsize businesses choose the Chambers Plan to protect their employees with comprehensive group benefits, including Health and Dental insurance, making it Canada’s #1 employee benefits plan for small business. The Chambers Plan is the simple, stable, smart choice for business; combining accessibility, flexibility and the stability of pooled benefits. Firms choose the Chambers Plan year after year because it offers unsurpassed value and customer service. First Data and the Chamber of Commerce are partnered to bring you exclusive benefits to help your business be more competitive – and you can get access to these benefits as a member of the East Wellington Chamber of Commerce! First Data is a long-standing partner of the Canadian Chamber of Commerce and provides a wide variety of payment processing alternatives. Their Program has been vetted to offer transparency and price certainty. On top of that, the First Data program guarantees business cost savings, and helps further support your Chamber of Commerce and your local business community. Why not get a quote today - If they cannot beat your current payment processing fees, you will earn a $1,000 MasterCard® gift card (see website for conditions and further details). Maintain control while saving time and money with the Esso Business Card! With access to nearly 1,800 Esso stations in Canada (plus partners in the US) this card gives you flexibility and convenience. Chamber of Commerce members receive a 3.5 cents per litre discount regardless of volume. In addition to the special discount you earn just by being a member, you also get state of the art management tools that will give you more control and identify potential problems sooner, ultimately saving you money. The Chamber of Commerce has negotiated highly favourable rates with Purolator for its members. Receive preferential pricing with discounts ranging from 25%-45% on Purolator Express and Purolator Ground suite of courier services. Whether it's across town or across the country, you'll get reliable, professional shipping that will satisfy—and impress—your customers. Grand and Toy offers an exclusive purchasing program for Chamber of Commerce members. Sign-up for an account today and you'll be able to take advantage of the purchasing power that we have partnered with the Chamber of Commerce to offer. Save up to 25% off competitor pricing on everyday office supplies and workplace solutions, and over 30% on paper. The cost of an outage for an ecommerce site can be directly shown in lost dollars, while network/website outages are measured in lost productivity and loss of customer trust. The Canadian Internet Registration Authority (CIRA) maintains the critical DNS infrastructure needed to keep over 2.5 million domain names online 100 per cent of the time - and we are delivering this capability to Chamber of Commerce members in a special bundle offer. What happens when business owners and employees have the skills they need to succeed? Everything. Greater motivation. Higher productivity. Better results. It’s that simple. Chamber eLearning offers hundreds of courses covering strategy, accounting and finance, management skills and leadership, sales and marketing, human resources, health and safety and Desktop PC topics. Courses are available 24/7 from home or office. Self-paced internet learning is the lowest cost, yet most effective training available anywhere. In 2018 Discover Bali or Iceland with a preferred Chamber of Commerce package. ***Note: 2018 dates have already passed, waiting for next dates. Partnering with 1-800-MEMBERS includes individualized marketing plans & dedicated account executives, a highly trained sales team and unmatched support. BEYOND GREAT SAVINGS! 1-800-MEMBERS specializes in providing chambers and their members with best in class member benefit programs while increasing your non-dues revenue. The Lenovo Savings Program: - Everyone needs authentic and reliable technology to turn to when completing a project. No matter the task, Lenovo has a product that’s got you covered. The Lenovo savings program offers member’s savings up to 30% off the everyday public web price of Lenovo’s entire product line. Plus, monthly specials on laptops, tablets and desktops. The UPS Members Benefit Program: It’s free to sign up and there are no minimum shipping requirements. Members can take advantage of large discounts with a new or existing UPS account. Thank you for the enthusiastic turnout at our AGM where we also welcomed our Mayor Allan Alls, County Councillor Pierre Brianceau, Councillor Rob Smith as well as the Vice Chair of the Town’s Economic Development Committee, Jamie Cheyne. Opportunities will exist for Chamber members to serve on various committees. Check our website often for details!